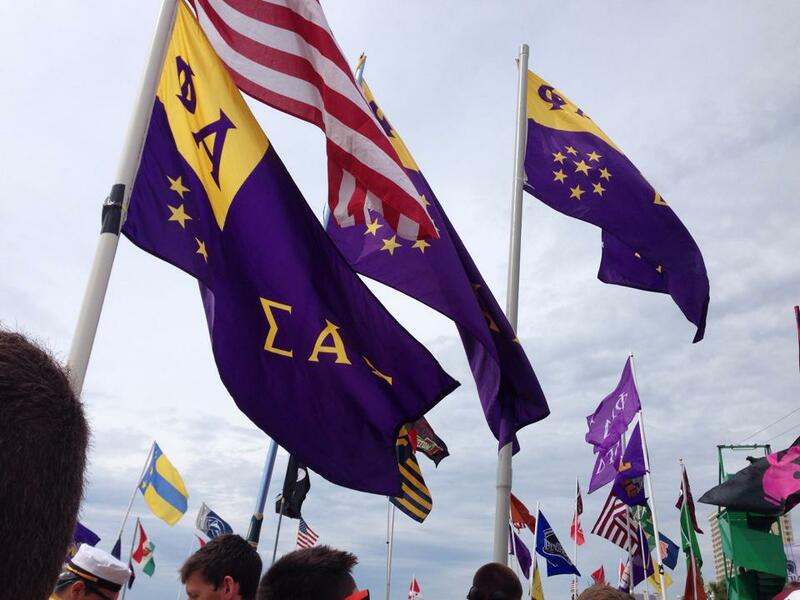 Oklahoma Mu is the Sigma Alpha Epsilon Chapter at Oklahoma State University. 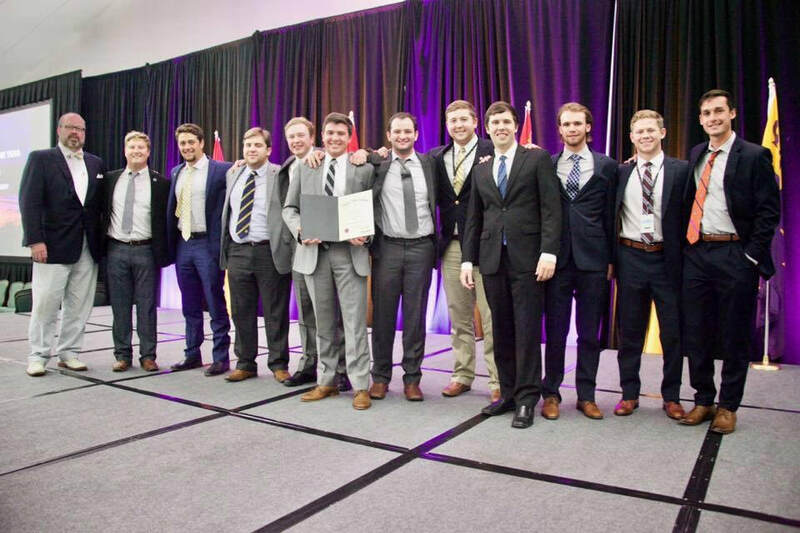 The mission of Sigma Alpha Epsilon is to promote the highest standards of friendship, scholarship, and service for our members based upon the ideals set forth by our Founders and as specifically enunciated in “The True Gentleman.” Visit our mission statement here. Oklahoma Mu has a tradition of upholding the standard of being "The True Gentlemen" at Oklahoma State. Some of our local alumni include T. Boone Pickens, Sherman E. Smith, Bob Austin, and Rick Cooper who have continued the values that SAE withholds in its members by giving back to their fraternity, community, and college. We welcome you to our website, if you have any questions please fill free to email us at okstatesae@gmail.com or if you are ever in the neighborhood come visit the men of 1308 W. 3rd Ave.
2017 - Runner Up of Most Improved Chapter Award. Oklahoma Mu accepting the True Gentlemen of the Year ​Award on behalf of Connor Strachan. 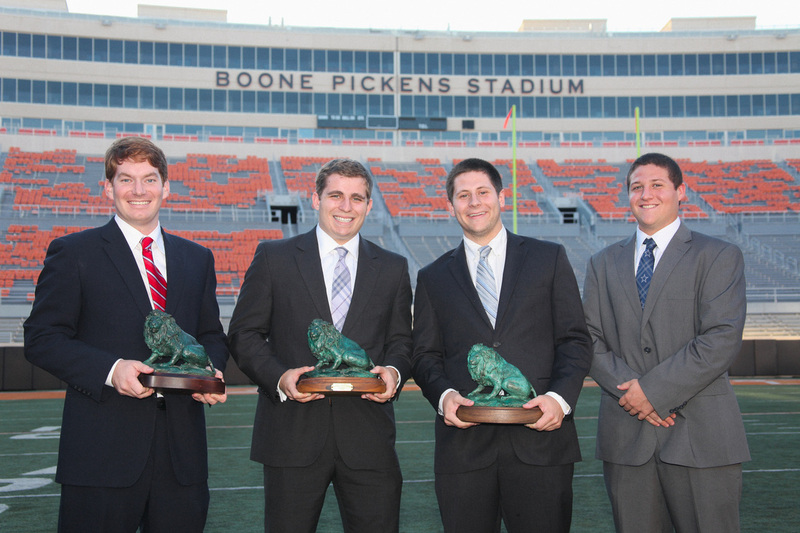 Oklahoma Mu is the only Sigma Alpha Epsilon Chapter who has won the Zeal Award three times. 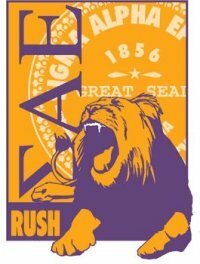 Checkout our why join SAE page and be sure to complete the online inquiry form to get in contact with our rush chairs. Are you a incoming freshman interested in Greek Life at Oklahoma State? Make sure to check out a $1,500 scholarship that two of our alumni have made available to students interested in Greek Life.